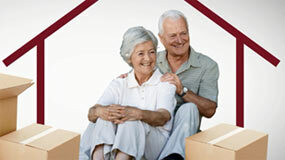 Giving families the peace of mind by managing all the details and work that go into senior relocation. Running out of Space or Moving into a Smaller Home? We take a compassionate approach to downsizing by helping to rightsize your possessions for a new or existing home. We Can Help You Save Time, Money and Stress. 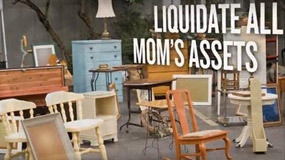 Liquidation of saleable items is a great way to offset other expenses when moving or settling an estate. Our experts guide you through these life transitions. We will professionally manage every step of the way. Running out of space or moving into a smaller home? Our trained professionals can help you with every step. We give families peace of mind by minimizing stress of an estate sale and maximizing returns. My sincere thanks to you for all of your arranging, leadership, and friendship in making this task successful. I could not have completed this job alone. Your expertise lifted a ton of worry and concern from my mind. Not only did you pack, move, and unpack us with the greatest care and caring, you also kept our spirits up, found the best way to do everything, including getting rid of everything we no longer needed...We were especially impressed with your sensitivity about our items which were particularly precious to us...You almost literally "saved our lives". You're the greatest! We could never have completed all the activities involved in a major downsizing and move without the caring, professional people from Caring Transitions. Every member of their teams exhibited knowledge and professionalism as well as an understanding of the kinds of stress such life changes bring on. Their attention to detail was amazing! You worked with our estate planner on legal issues, our Realtor on property issues, and held an estate sale to liquidate all of Mom’s assets. The most important thing, however, was that you gave us time to remember our mom. They exceeded all of our expectations. They communicated every step of the way with us and were always positive and comforting to us. Trying to manage this on our own, several states away, would have been a nightmare. Caring Transitions made it a dream. Click here for the video for your solution! No matter what your need is, we can help. Find Your Solution Right Here! Are you planning to relocate? Do you need to downsize? We are professional move managers. We help manage every aspect of a move! Our downsizing experts quickly organize and sort rooms full of items with care and respect, "rightsizing" possession to fit a new living space with options to liquidate the rest through an online or physical estate sale. 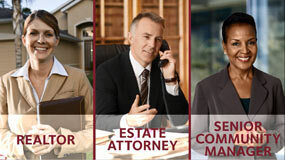 Do you need a valued partner to help expedite your client's move or estate sale? Are barriers causing your client's decisions to be delayed? Looking for a resource to help manage your parent's estate or relocation? What do I do with all the stuff? How much is it all worth? We know through countless testimonials that cleaning out possessions can be very time consuming. Liquidation of saleable items that are left behind is a great way to reduce expenses associated with maintaining a vacant home.